Your house gets more valuable over time. You can stop making payments when the loan is paid off. This is a big advantage, but it doesn't get your costs down to zero. You will still pay for taxes, insurance, and maintenance even after your loan is paid off. On a home worth $180,000 that could be around $525/mo. Sure, that's better than the $1000/mo. you could be spending on rent, but it's not free. 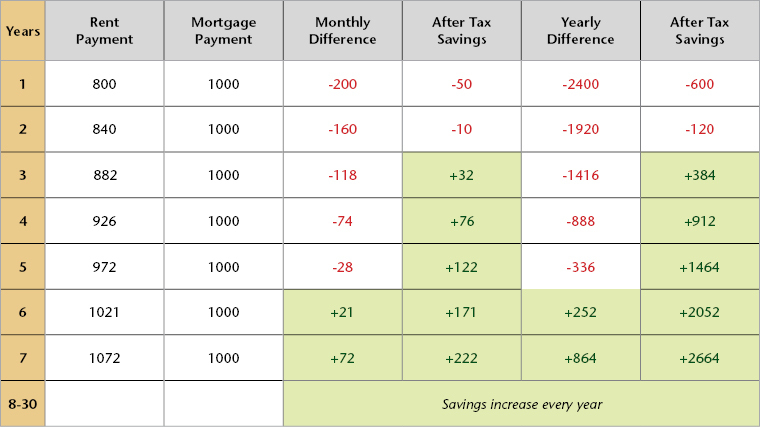 You can deduct mortgage interest on your income taxes.